It's weekend and thus it's that time of the week for me to do another livestream! I can't promise music, I can't promise co-commentators, but I can promise it will be a nice relaxing stream! 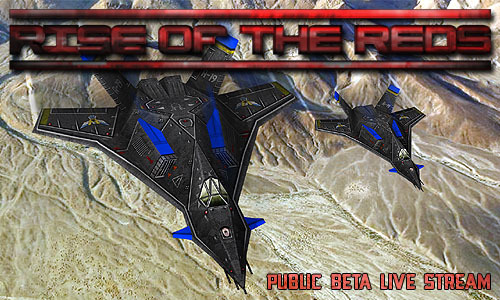 Tomorrow, November 20th 2016 at 19:00 GMT I will finally be holding another Rise of the Reds 1.87 INTERNAL beta livestream! 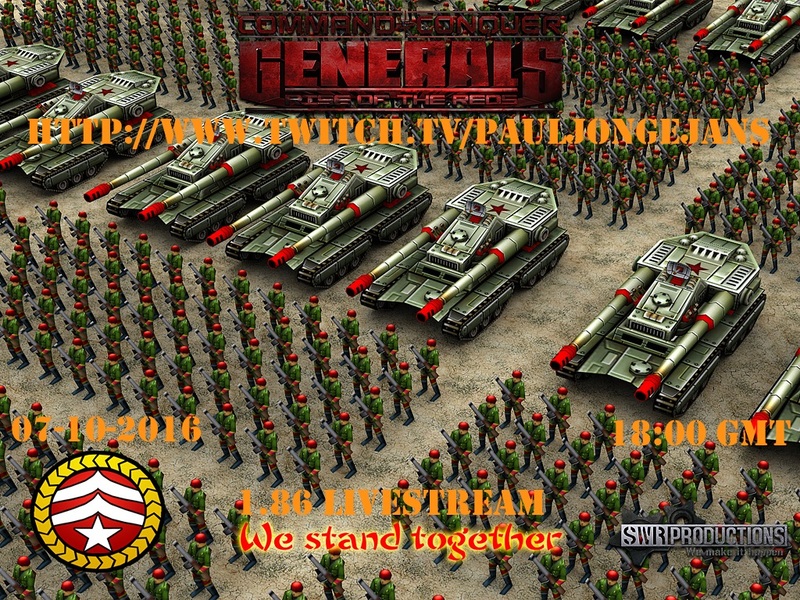 Join us as we'll be showcasing new units, new buildings and maybe new maps. While the Twingfangs deny you access to the Chinese skies, I will not deny you access to another Internal Livestream of Rise of the Reds 1.87. Just like last week, the stream will be shorter than usual and I have requested a few things specifically to be shown, so let's hope the testers cooperate. Ooh I might finally be able to watch your stream! 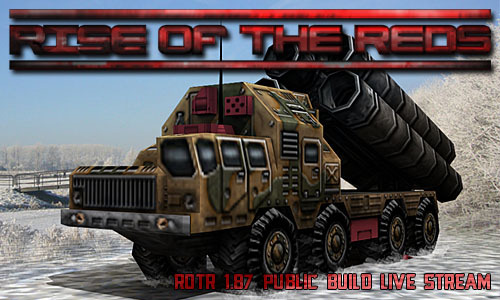 In order to join us, you need RotR 1.85 AND 1.86 installed beforehand. 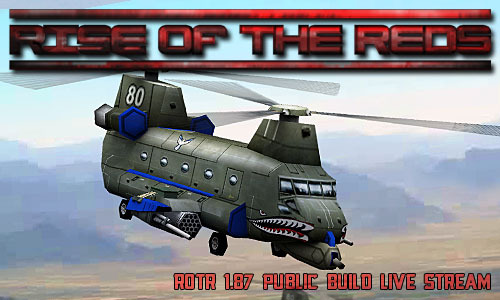 Then you need to have / make an account on the SWR Forums and then download the patch here and install the patch in your RotR 1.85 and 1.86 folder. 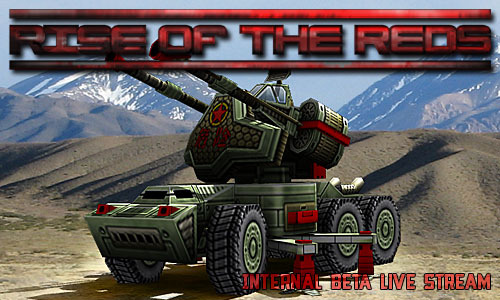 During the stream, the !rotr command will provide you with the aforementioned link to the download topic on the forum. Here is the Countdown to when the stream starts. As I mentioned a few weeks ago, the Friday Rise of the Reds streams with Songrequests would eventually make their return. 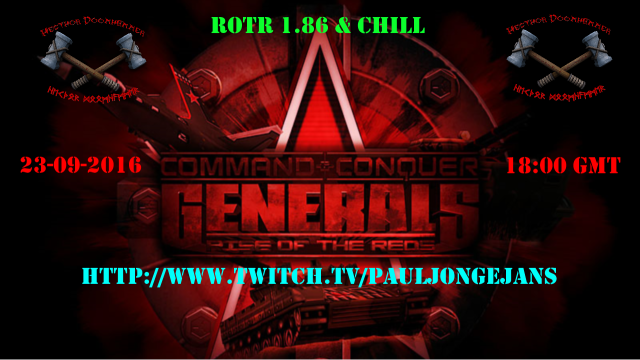 So grab your alcoholic beverages at 19:00 GMT, open up both Rise of the Reds 1.87 and my channel on Twitch http://www.twitch.tv/pauljongejans and join me for the stream! I was not too happy with how last Friday went. you can say I was grumbling when I stopped.  So let's see if tomorrow, December 11th 2016 at 19:00 GMT we can do a better job. 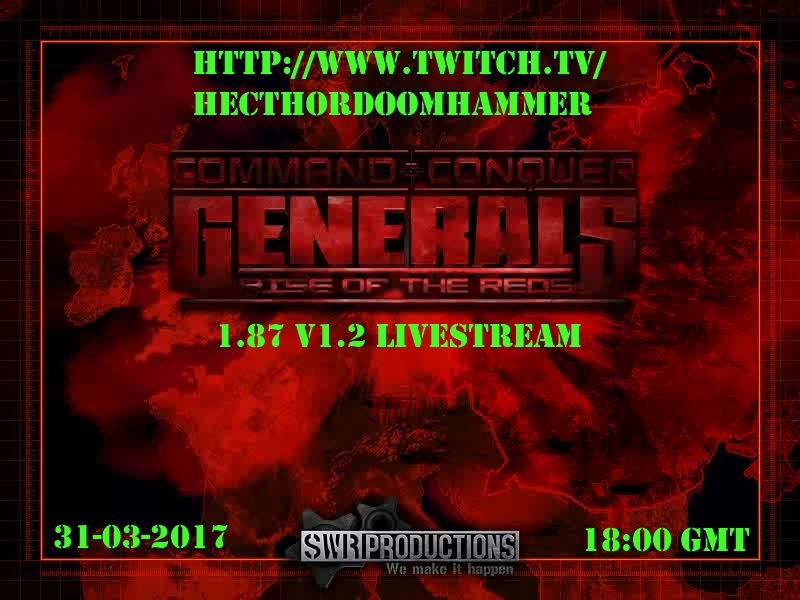 Of course we will be streaming version 1.87. Join me on my channel on twitch and I hope to see you all then at the end of this countdown! Since I will rely on how many players there are, I might switch to Mental Omega if there aren't enough players online when the stream starts, or I might end the stream early for the same reason. After an absence that has been way too long, I'm curious if we can do a Rise of the Reds livestream. 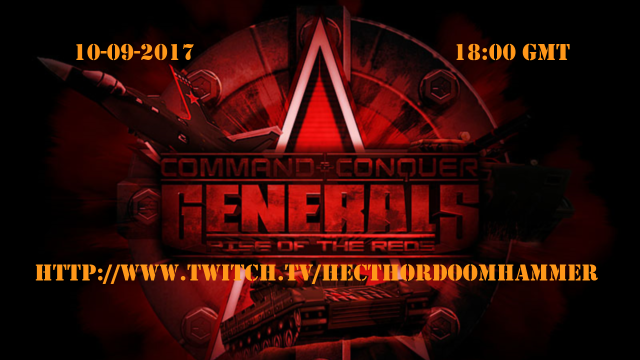 Tonight at 18:00 GMT I will go live in the hopes to see plenty of people online, and thus plenty of games to be casted. Is Monday such a drag for you as well? Still a little hung over or just tired from the weekend? 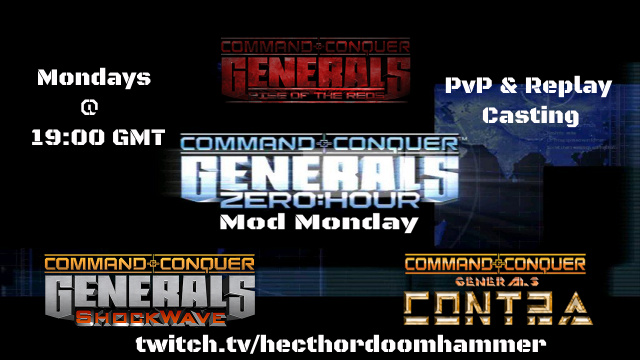 Well, all you have to do is manage until 19:00 GMT when you can relax to a few games of C&C Generals - Zero Hour mods! Rise of the Reds, Shockwave or Contra! So tomorrow, Monday February 19 at 19:00 GMT I will go live pon my channel on Twitch with another livestream of either of these 3 mods. Maybe get some SHOCKWAVE in then? Since the release of Contra 009 Final I have been casting replays and streaming a bit. and throroughly enjoying it.